LAUNCH is an accelerator built by, and for, Cal founders. If you have a talented team, a working prototype, and a big vision, LAUNCH can help you turn your idea into a company. We’ve done it before — over 200 times, in fact — and our resources are at your disposal. We will guide you through the world-class Lean Launchpad curriculum; we’ll introduce you to venture capitalists and angel investors; we’ll give you an industry- or technology-veteran mentor; and we’ll connect you with the other 75 founders in your cohort plus all of our successful alumni. In short, we’ll help you BUILD a fundable company. While our 2019 application is closed, click here to learn more! LAUNCH has helped hundreds of successful entrepreneurs start companies that are changing the world. 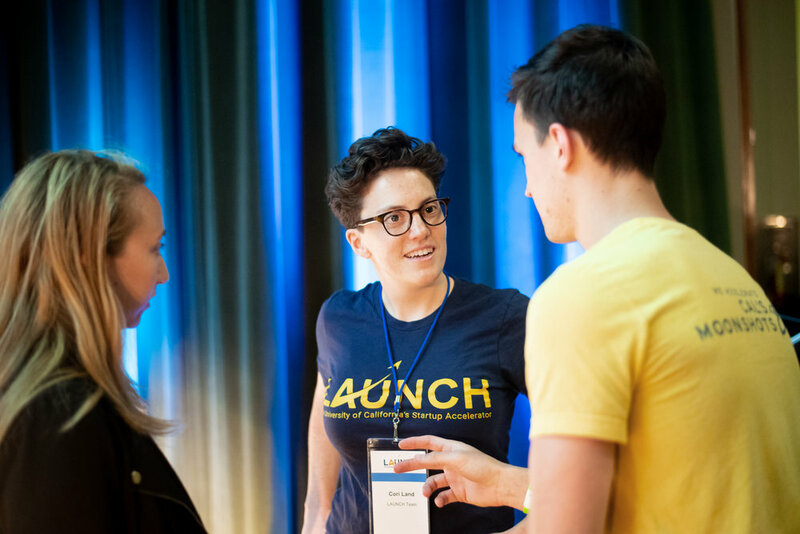 LAUNCH is run by UC Berkeley MBA students, undergrads, and a host of successful advisory entrepreneurs and investors.